This new tumbled limestone flooring has softened stone edges with a satin / matt surface producing an attractive and hardwearing floor. 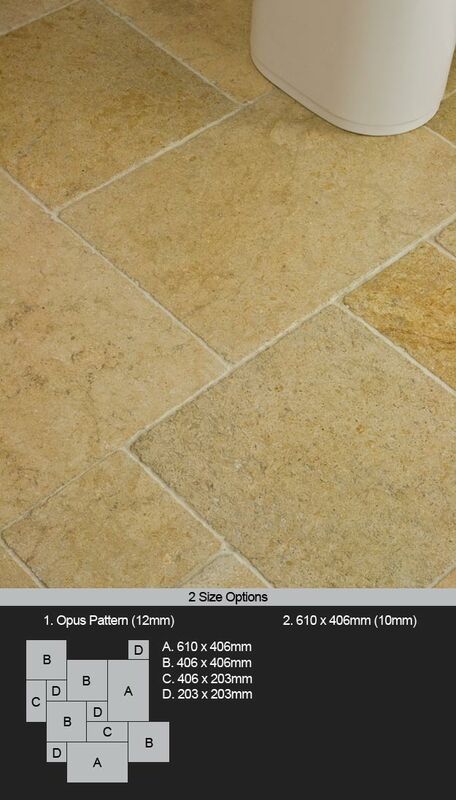 Cairo limestone flooring is very hard and is suitable for both domestic and commercial situations. * In 2 traditional flooring patterns.